I can’t let myself go there with you. Archie: Ronnie! What I said it doesn’t matter if you don’t want to say it back to me. Veronica: But it does, and it should. And, for whatever messed up reason, Archie, whatever deep seeded issues I have, I can’t let myself go there with you. Sorry. I’m so sorry. 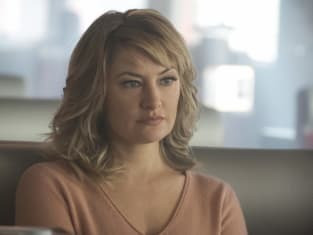 Riverdale Season 2 Episode 8: "Chapter Twenty-One: House of the Devil"
Betty: How many times, Jug? How many times are we gonna push each other away? Jughead: Until it sticks. That was my dad’s one chance of going straight and I wrecked it! I’m not going to destroy you too. Betty: Just tell me what happened, Jug. Jug! Permalink: How many times, Jug? How many times are we gonna push each other away? Permalink: I can’t let myself go there with you.